First (on fairly level ground) we dug a kidney shaped hole, aproximately 4 foot wide and 9 foot long, with varying depths. 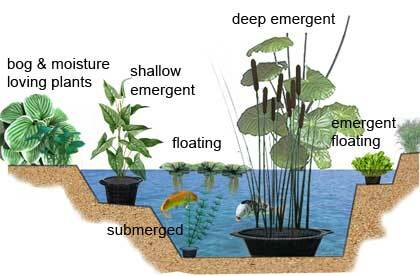 (2 ft deep in the shallow end, gradually sloping–with a few terraces– into a deep end of 4 feet). –We also created a (6 inch deep) wetland along part of the bank, which will enventually be filled in with varoius Aquatic plants that will serve to cleanse and oxyginate the water as well as provide a habitat for frogs and other water loving creatures. We then walked along the bottom of the pond to compact the soil. –In some places where the soil is mostly clay, this alone might be enough to seal the pond. 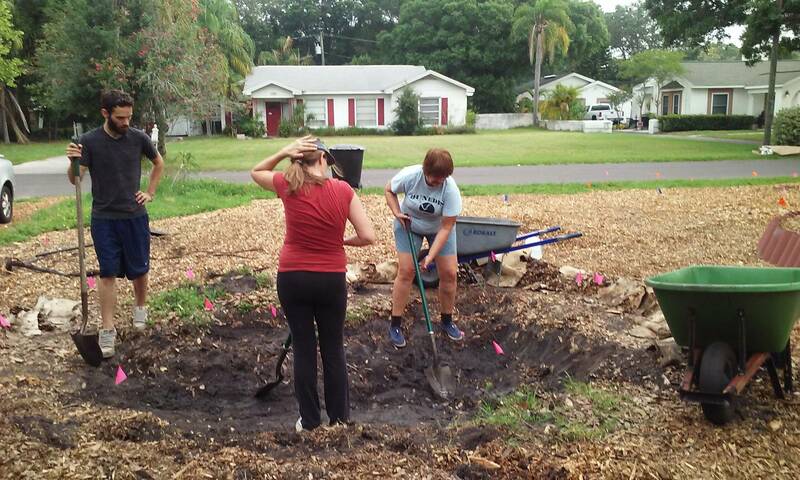 However, here in florida the soil is very sandy and porous, so extra measures must be taken to ensure the pond will hold water. 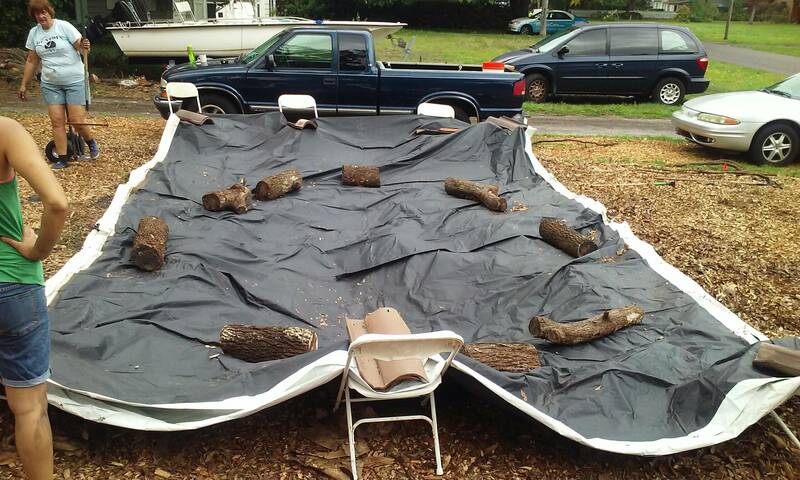 Having laid the carpet and tarp, we then used old logs to weight the tarp down and did an impromtu rain dance before calling it a day. 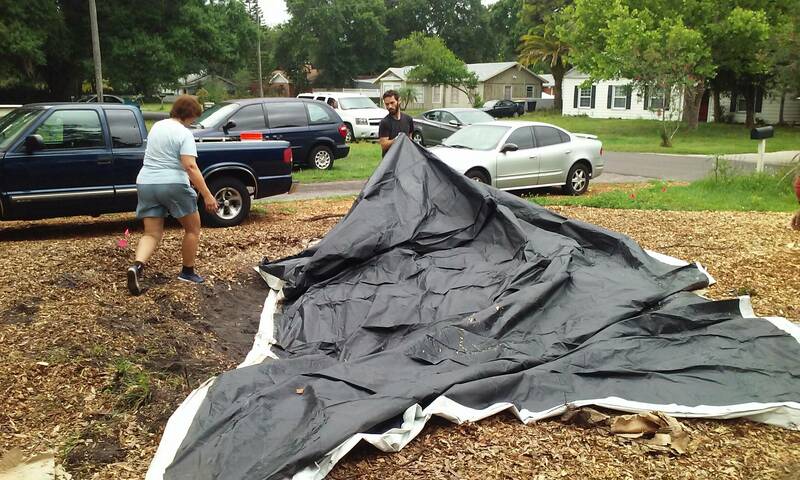 The next steps will be to mulch over the edges of the tarp and to create a spillway that will direct the flow of excess water and prevent flooding. This can be done with the use of a pipe, or by creating an earthen channel. (See the above link for simple steps on how to do this). Once the pond is full of water, Koreen will introduce Gambusia fish (a.k.a. Mosquito Minnows). –These little guys don’t require an air pump, and will serve to keep mosquito populations down (they eat their larvae), while also providing a source of Nitrogen (their poop) for the edible, Aquatic plants Koreen will grow in the pond. 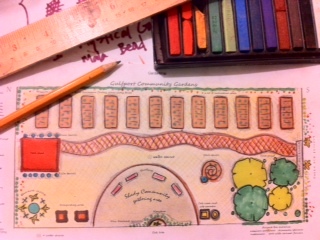 For more detailed information of creating an edble water garden, I recommend the visiting this site. 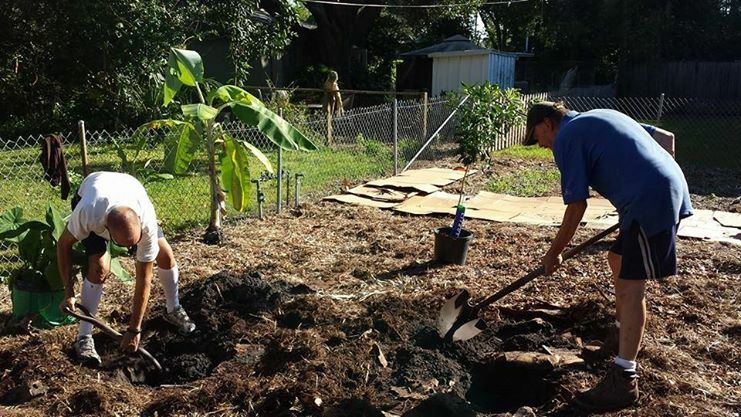 February 8th 2014 Mother Mana teamed up with Molly and Jacob–of the The Living Soil Compost Lab– to host a hands-on workshop on Cultivating the Soil Foodweb. 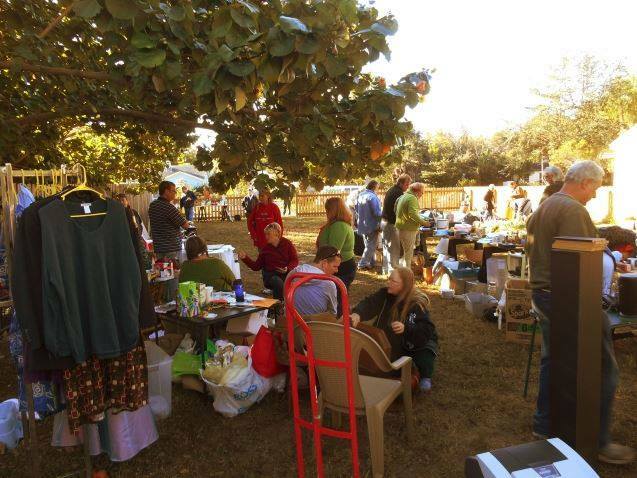 20% of the proceeds were donated to the Gulfport Community Garden. 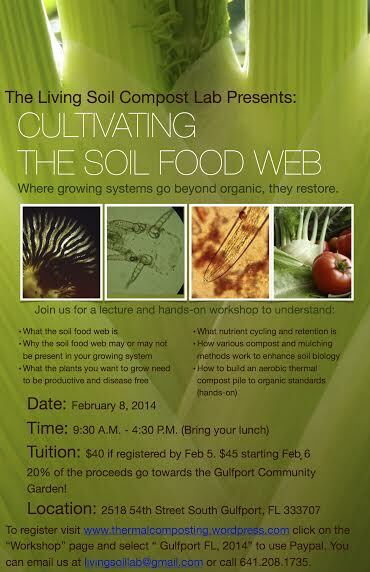 *What is the soil foodweb? *Why the soil foodweb may or may not be present in your growing system. *What the plants you want to grow need in order to be productive and disease free. *What nutrient cycling and retention is. 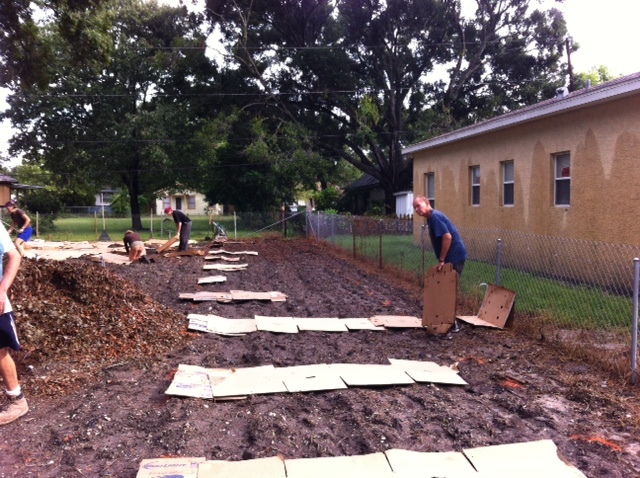 *How various compost and mulching methods work and enhance soil biology. 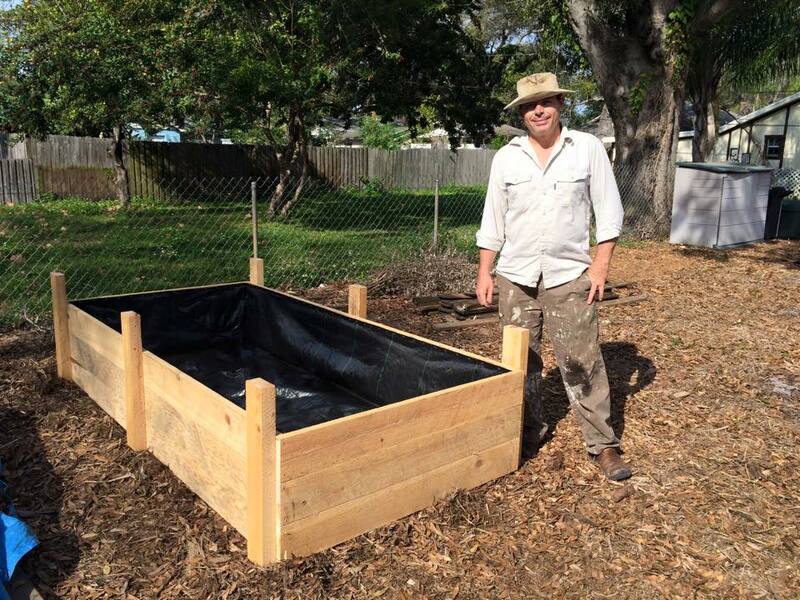 *How to build an aerobic thermal compost pile to organic standards (hands-on).